Razer Phone 2 Renders Leaked Ahead of October Launch - Playfuldroid! Razer has recently confirmed through its recent earnings report that it is working on Razer Phone 2. Fresh render of the smartphone has been shared by Android Headlines. The render reveals that the upcoming Razer Phone will be sporting a design that is similar to the original Razer Phone. The render also suggests that the Razer Phone 2 will debut in October. The Razer Phone 2 render reveals it has slightly thicker side bezels and there is some refinement in the positioning of the selfie camera. 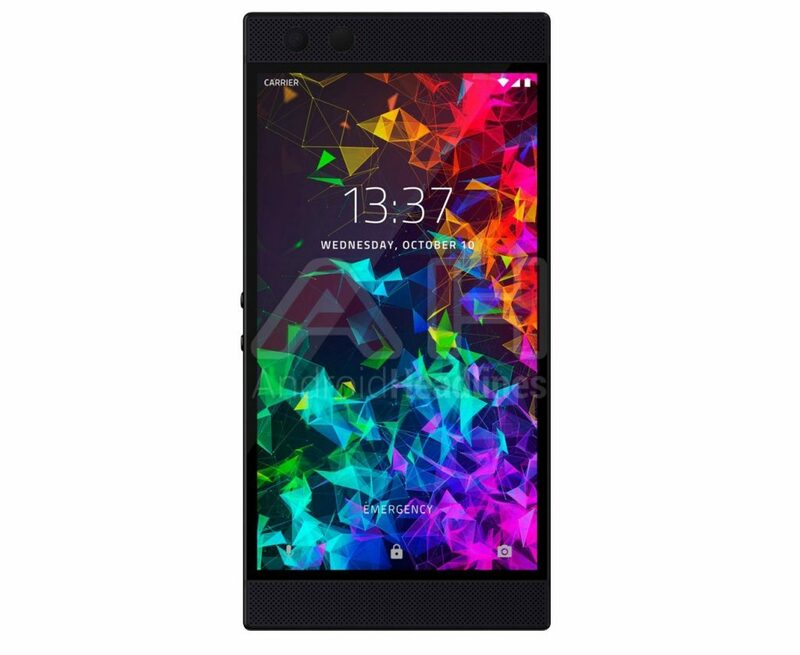 However, the entire design of the Razer Phone 2 does not deviate from the original phone. Probably, noticeable change will be seen on the back panel of the Razer Phone 2. However, there is no image available that showcases its rear design. The handset is rumored to sport Chroma LED effects for colorful notifications. The Razer Phone 2’s AnTuTu listing has revealed that it will carry support for Quad HD resolution of 2560 x 1440 pixels, but the exact display size is not known. Probably, it could be featuring the same 5.7-inch IGZO display that offers 120 Hz refresh rate. The Snapdragon 845 chipset will be powering the smartphone. The SoC is coupled with 8 GB of RAM. It will be arriving with a massive internal storage of 512 GB. It will come loaded with Android 8.1 Oreo OS. There is no information available on the other specifications of the Razer Phone 2. The Oct. 10 date mentioned on the screen suggests that the company may debut it on the said date.